Making spirits bright with Designer’s Excellence ®. Direct Export Company has been in business for over 40 years developing our signature Designer’s Excellence ® brand. The hallmark of our brand are the Designer’s Excellence ®Christmas Trees, inspired by nature and beautifully crafted to bring joy to the holidays. We are committed to providing high quality, realistic trees that are as dependable as they are beautiful. Our pre-lit trees will brighten the Christmas seasons for years to come with durable construction and premium lighting systems. Our Designer’s Excellence ® Christmas Tree collection offers a large selection of traditional favorites. Our line has been curated for many years to keep the styles that are top sellers for our customers each season. We also create many new styles to keep the offerings fresh. 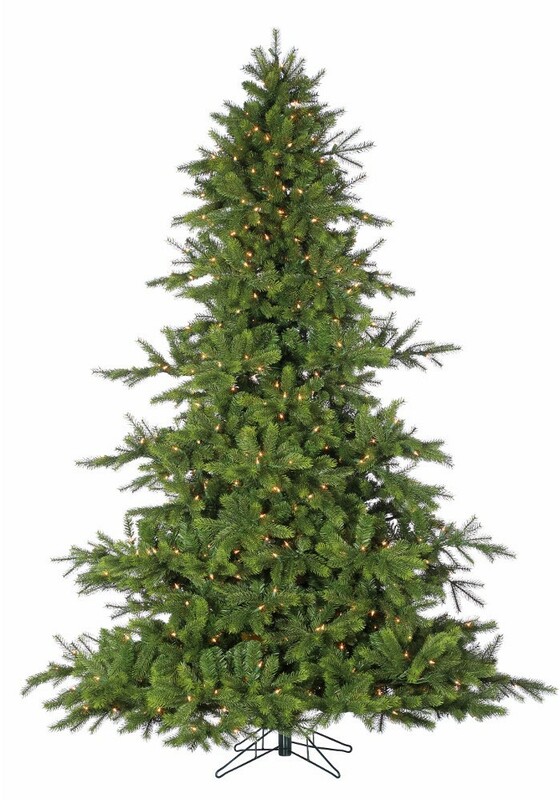 Designer’s Excellence ® Christmas Trees offer the ultra-dependable Stay-lit ® lighting system. Stay-lit ® strands offer reliability by placing a microchip in the bulb sockets that keeps strands lit even when bulbs break or burn out. We also offer Natural Light LED lights that produce the same soft luminescence of traditional incandescent bulbs and require less electricity to power. For something different, we offer special lighting options including G40s, C7s, Multi-Clear Changing LEDs, and Cluster Lights. Direct Export is the semi-exclusive home of the Stay-lit premium lighting systems. 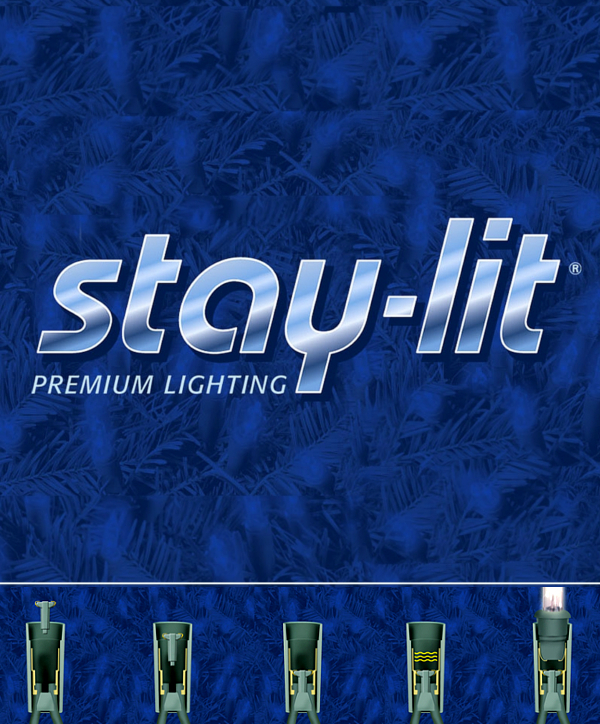 Stay-lit ® strands feature patented microchip technology. A chip in every socket guarantees that trees will stay lit if bulbs are burnt out, broken, loose, or even missing. 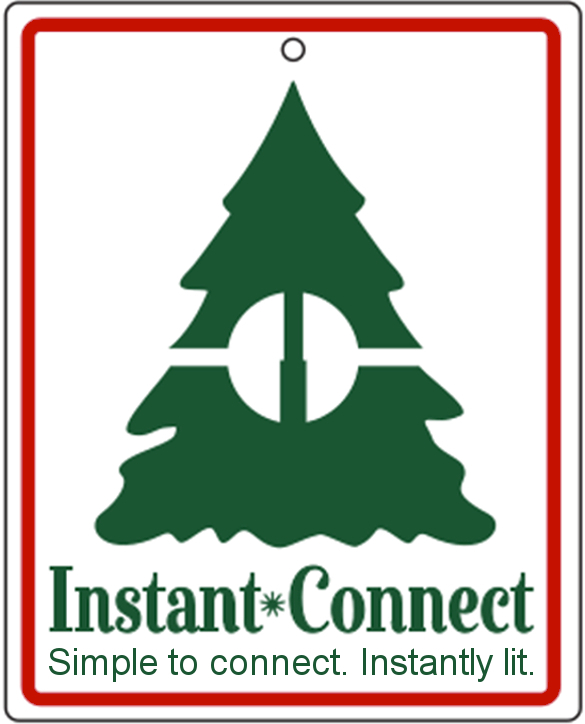 Instant Connect ® technology uses the Christmas tree center pole to power the lighting system and eliminates the need for plug nests. Simply assemble the tree by inserting the sections of the tree together and plug the single drop cord into your plug strip to light. Voila! Your tree is ready to decorate! 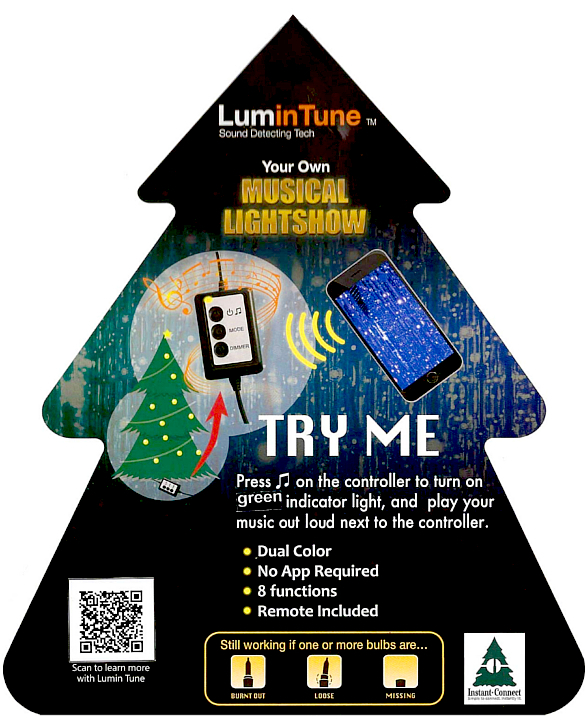 The Lumin Tune ® Musical Light Show feature listens for nearby music and lets your lights put on a show to the beat. Features include Dual Color lighting, 8 light functions, and a remote control. 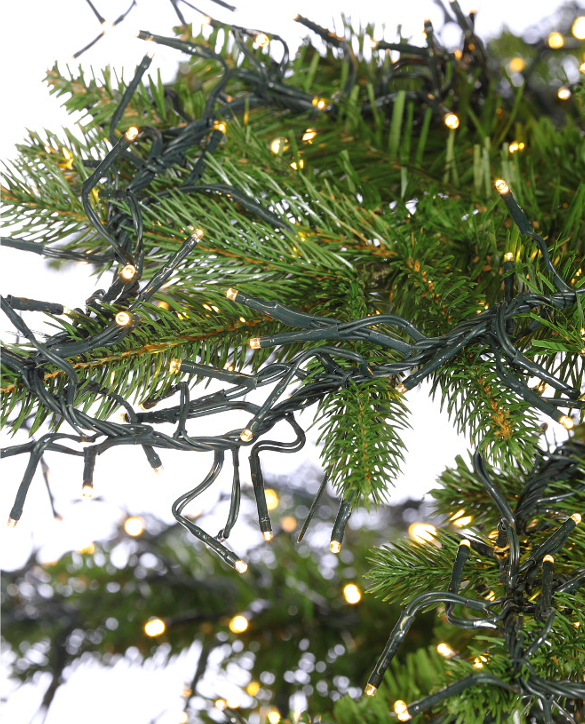 Designer’s Excellence Cluster Light strands are a stunning addition to our beautiful Christmas trees. Cluster lights are as dependable as they are beautiful. They are virtually indestructible and have 50,000 hours burn time. The light systems feature a remote control and 8 light functions. Designer’s Excellence ® Christmas Trees are made to be the centerpiece of holiday design for any space. Our trees draw their inspiration from the beautiful styles found in nature. 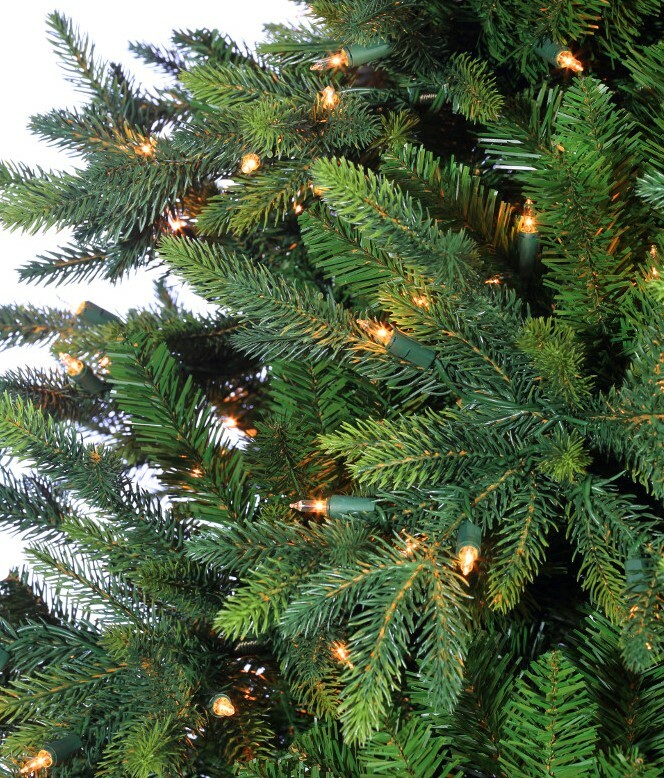 From long needle pine to colorful new growth to sparkling iced finish to fresh fallen snow covered flocked Christmas Trees, our selection provides variety to fit any design style. Our creative team adds diversity to the collection by infusing a mixture of elements from colorful tinsel to unique shapes that you won’t find anywhere else. 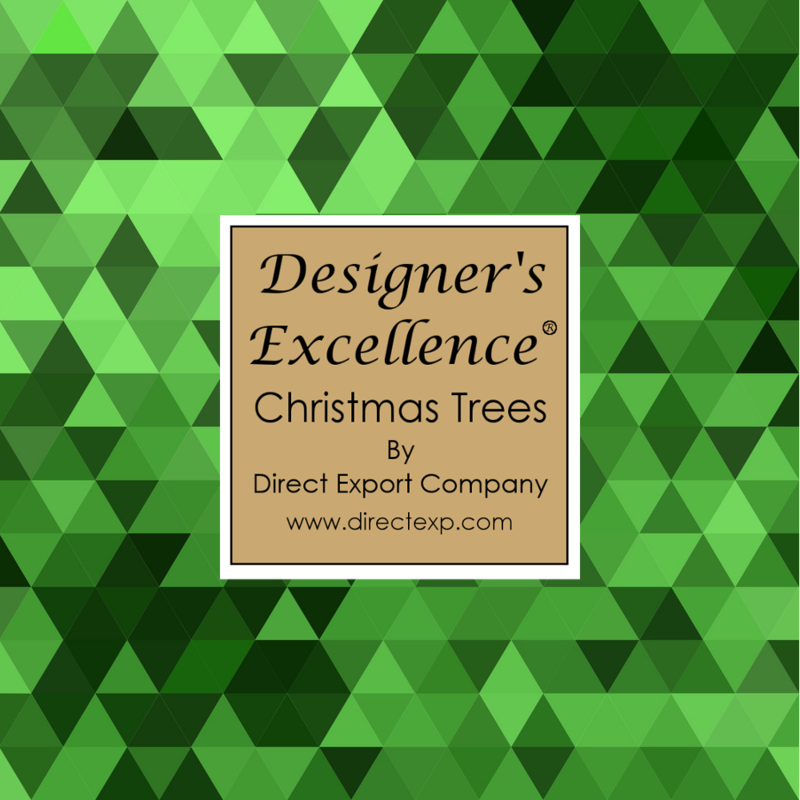 Designer’s Excellence ® Christmas Trees are made for making spirits bright for the holidays! Made with quality craftsmanship, our Christmas trees are designed to be as durable and reliable as they are beautiful. 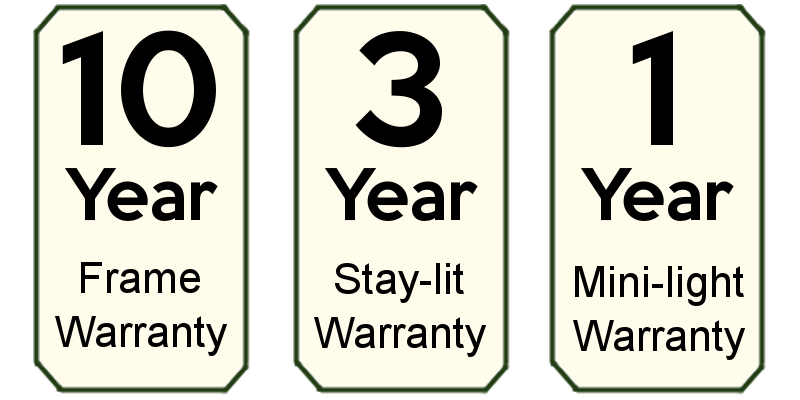 Direct Export supports the tree and lighting systems under warranty against issue. Making spirits bright with Designer's Excellence!